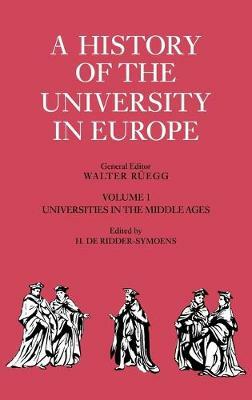 This, the first in the series, is also the first volume on the medieval University as a whole to be published in over a century. It provides a synthesis of the intellectual, social, political and religious life of the early University, and gives serious attention to the development of classroom studies and how they changed with the coming of the Renaissance and the Reformation. Following the first stirrings of the University in the thirteenth century, the evolution of the University is traced from the original Corporation of masters and Scholars through the early development of the colleges. The second half of the book focuses on the century from the 1440s to 1540s, which saw the flowering of the University under Tudor patronage. In the decades preceding the Reformation many colleges were founded, the teaching structures reorganised and the curriculum made more humanistic. The place of Cambridge at the forefront of northern European universities was eventually assured when Henry VIII founded Trinity College in 1546, in the face of changes and difficulties experienced during the course of the Reformation.